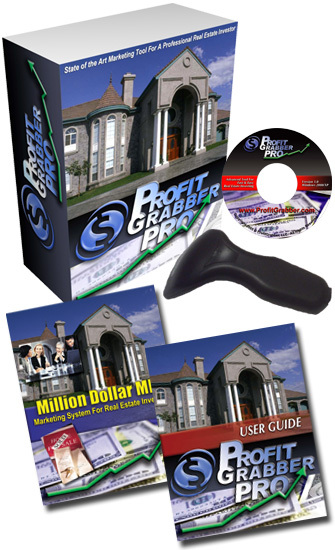 Discover the most powerful real estate investing software that will create more money for you than you'll know what to do with! Fax Hundreds of offers to motivated sellers without owning a fax Machine. Effectively Import & Manage a mailing list of any size! Print Hundreds of personalized letters, or mailing labels! Comes with over 20 proven, Tested & Tweaked Marko's own "direct response" letters, written by established copywriters. The Highest Profits are achieved through multiple contacts! Follow-up is Key! Automated follow-up system to fill up your pipeline with Hottest Motivated Sellers! Use Scheduler to manage your marketing for BIG return and HUGE profits! Store all you pertinent information for each deal in one place -- easy to find & manage! Easily Market to sellers that your competition doesn't have a clue about! Automatically bar-code the outgoing mail for easy tracking! Use the supplied handheld scanner to quickly import you return mail! Automatically update your contacts within the system for seamless marketing FLOW. Fresh Property Data & Auto- COMPS for more than 1,000 Counties! ProfitGrabber connects to daily updated property data in over 1,000 Counties! You have access to ALL the counties, with one low monthly subscription! Immediately know what the property is WORTH and WHAT TO OFFER! Contains more than 30 valuable details for each subject or comparable property. System contains the best Creative Real Estate Acquisition documents, FULLY editable! All-You-Need Subject to (Get The Deed) & Option Forms, and more... ! Auto-fill feature will populate & print your documents with a few clicks! Strong paperwork will seal the deal & help you "Grab The Profits"! Includes everything you need to get started NOW! CD-ROM, Barcode Scanner & Instructional Manual! Copyright © 2009 Turn-Key Systems Inc.